This post contains affiliate links, meaning if you click on links and buy stuff, I might make a penny or two. 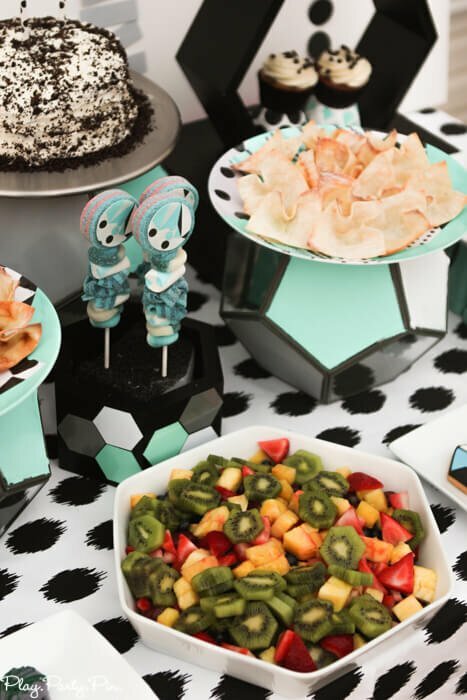 But I promise I only linked to the actual items I used for this party and they’re things I use and love! 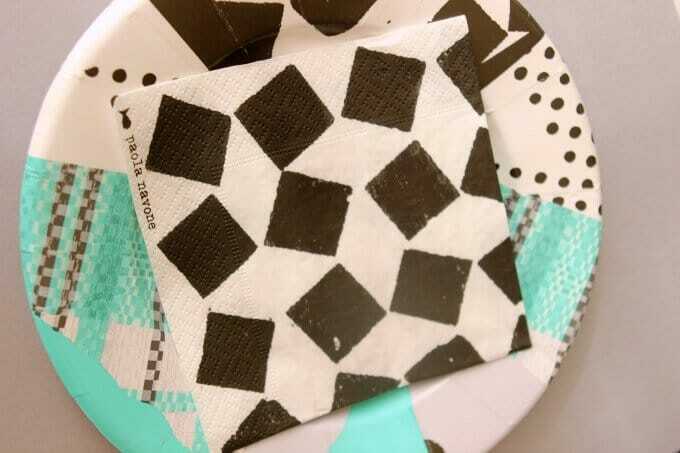 One of my favorite places to shop for party pieces and inspiration is our local Crate & Barrel outlet. 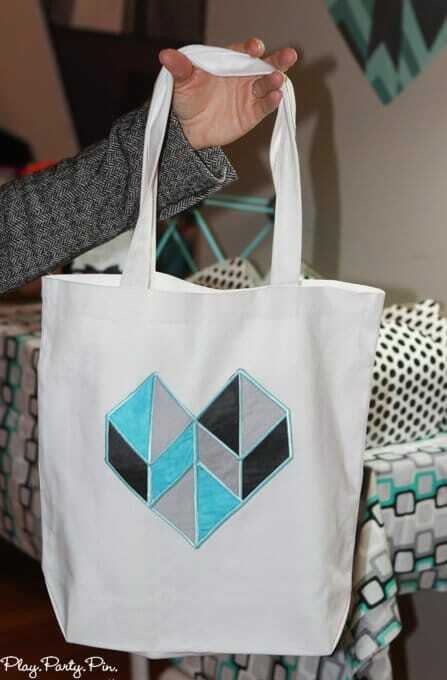 I happened to find their Paola Navone paperware collection on one of those random shopping trips and fell in love immediately. 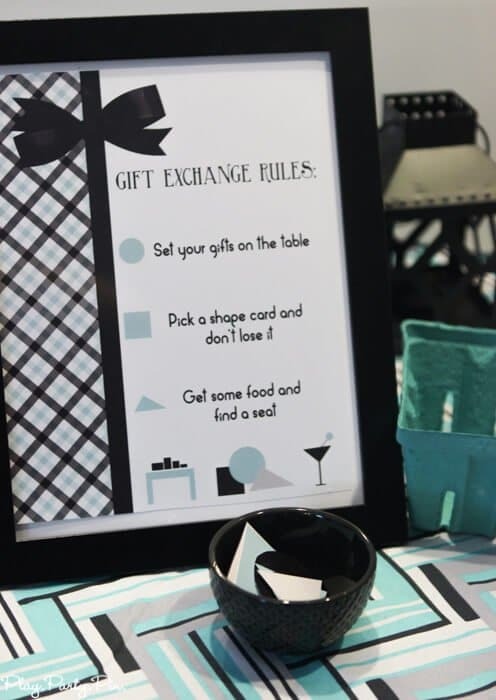 I actually picked out a bunch of their pieces and immediately told my husband that I was going to plan a party around the design. 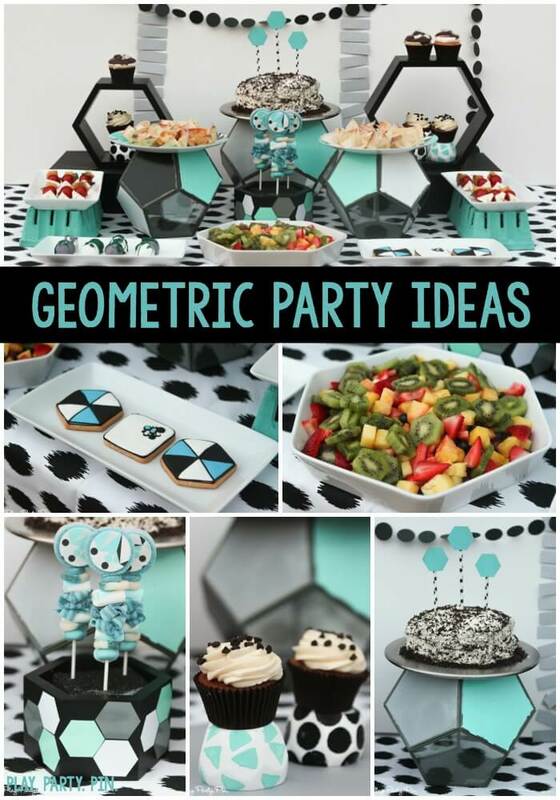 It didn’t take me long to come up with my party theme – girls gone geometric – a girls night/favorite things party using geometric shapes and patterns. 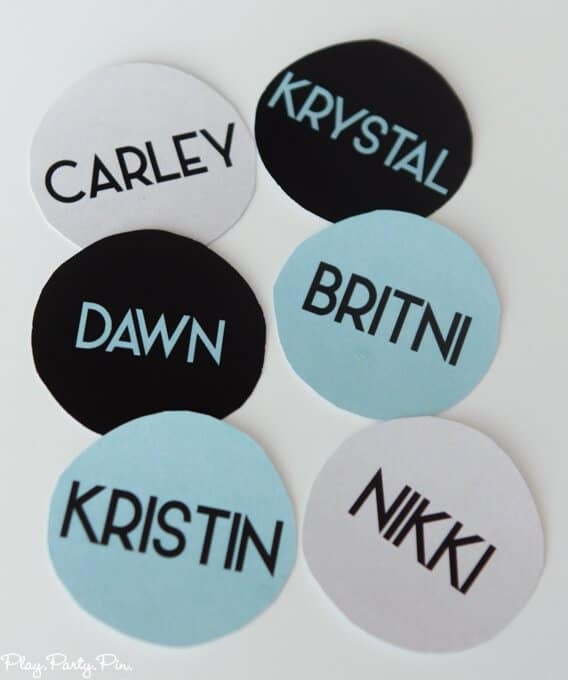 If you’ve never heard of a Favorite Things party, the basic idea is that everyone brings a certain number of their favorite thing (i.e., 3 of their favorite lip gloss) and then everyone picks a name/number and gives their favorite thing to the people whose name they chose. So everyone goes home with a couple of different things and everyone hopefully goes home with lots of new ideas of things to try. I threw a pretty epic Favorite Things party a couple of years ago that is still one of my favorite parties to date. This one wasn’t quite as epic but still a lot of fun! 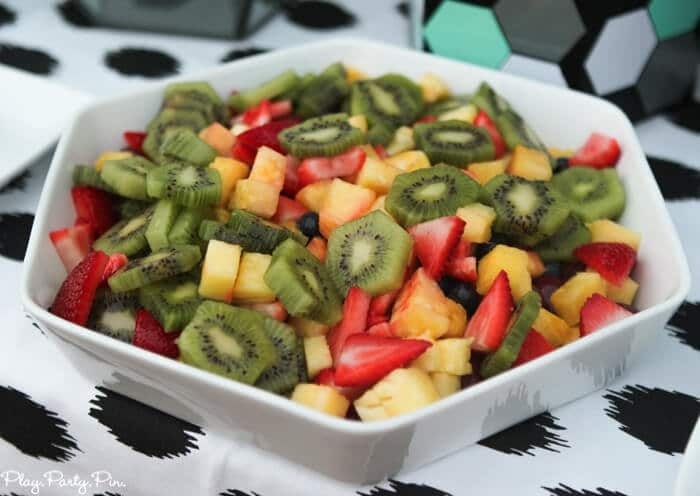 This party was so much fun to plan. I started it out with a tablecloth I made from this gorgeous Jo Jo fabric from Fabric.com and custom designed garlands from Fancy and Fold in the background. I decided to go with a fairly simple background to keep the focus on the geometric foods and pieces on the table. The first step was coming up with some big pieces for my table and these geo terrariums from World Market (another one of my favorite places to shop for party supplies!) were perfect. 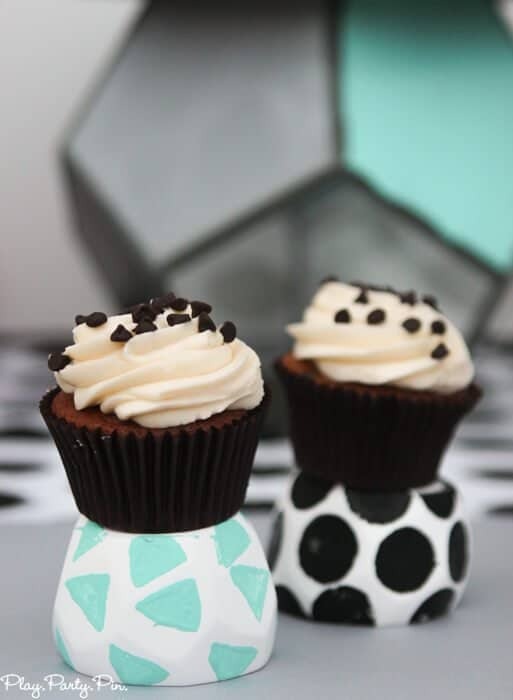 I painted the sides to match my color scheme and used them as cake stands, two small ones on the sides and one large one in the back. 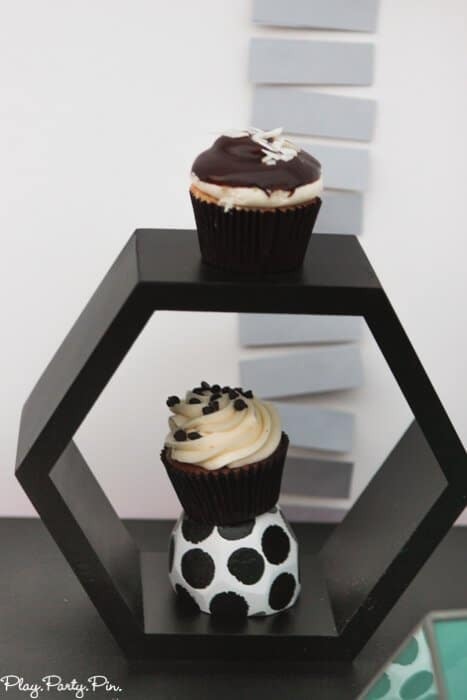 If there’s one thing I’ve learned from styling parties, almost anything can be used to give height to your table. 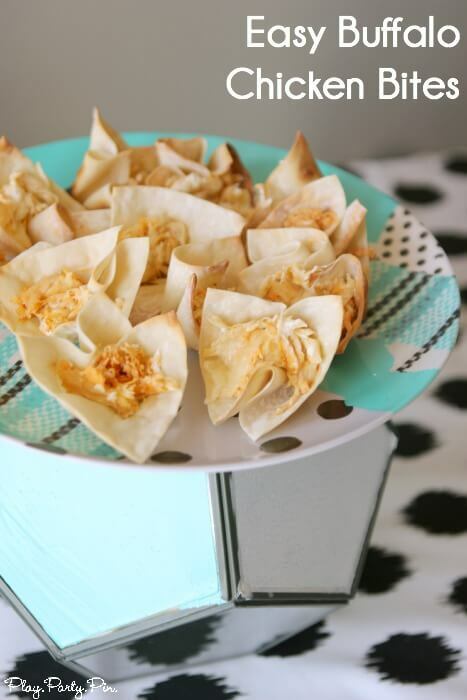 On top of the stands, I put out my buffalo dip in wonton cups and a simple round cake that I amped up with some cookie crumbs and hexagon shapes (cut with my Sizzix Big Kick) stuck in with matching patterned straws. To balance out the glass and height in the middle of the table, I picked up these black hexagon shelves from Amazon and painted some black boxes to use as risers to add even more height to the sides of my table. Inside of the shelves I used white geometric planters from Kate Aspen that I painted using foam brushes and apples put into triangle and hexagon shapes as holders for my cupcakes from Lavender Moon Cupcakery. 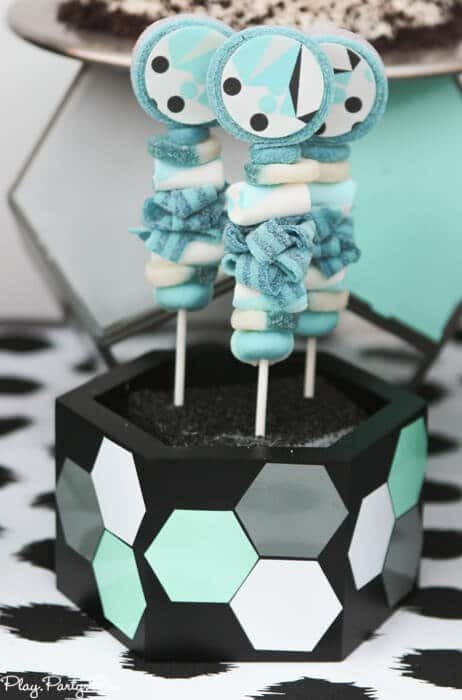 The third hexagon shelf in the set became a stand for my geometric candy kabobs from Sweets Indeed. 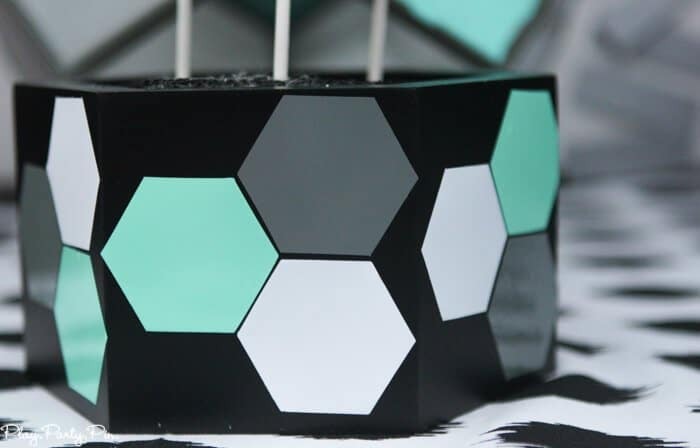 All I did was add some vinyl hexagons that I cut out using my Sizzix Big Kick and this hexagon die cut, put some styrfoam inside, and stuck the kabobs in the foam. 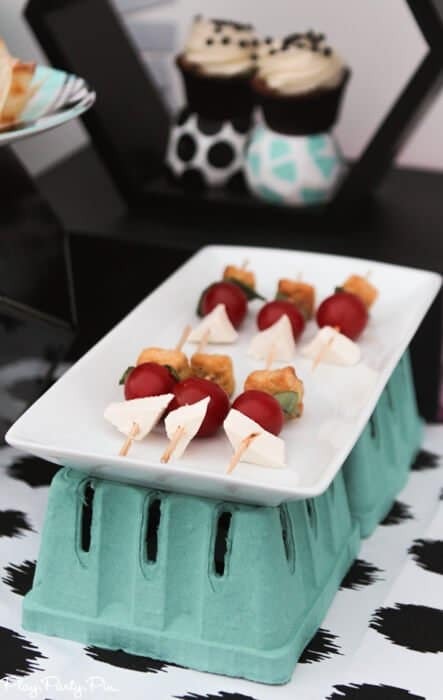 Last but not least, on either side of the table I served caprese salad kabobs with square croutons, triangle mozzarella cheese, and round tomatoes all setup on simple berry baskets from Celebration Lane that I just flipped over. 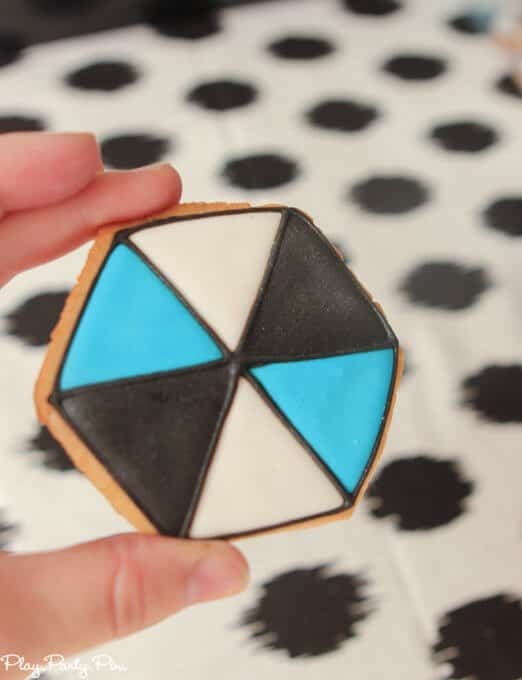 And in front of that, I served the most amazing goemetric cookies from Cara Bella Creations, cake balls, and fruit cut into fun shapes and served in a geometric serving dish from Crate & Barrel. 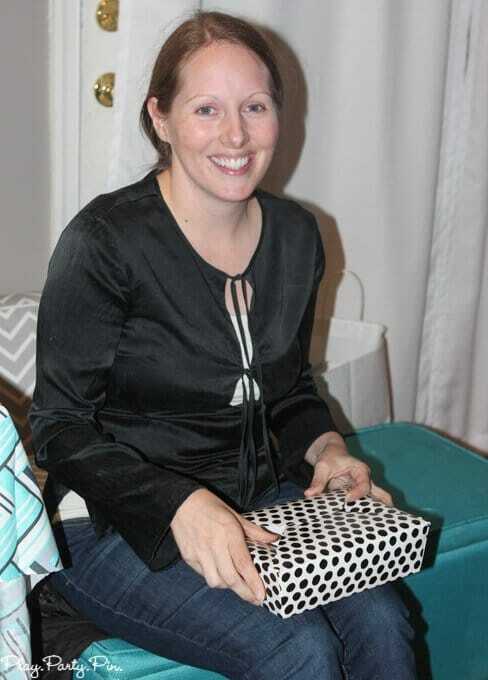 Since this was a Favorite Things party, I didn’t plan any games or activities other than the gift swapping. 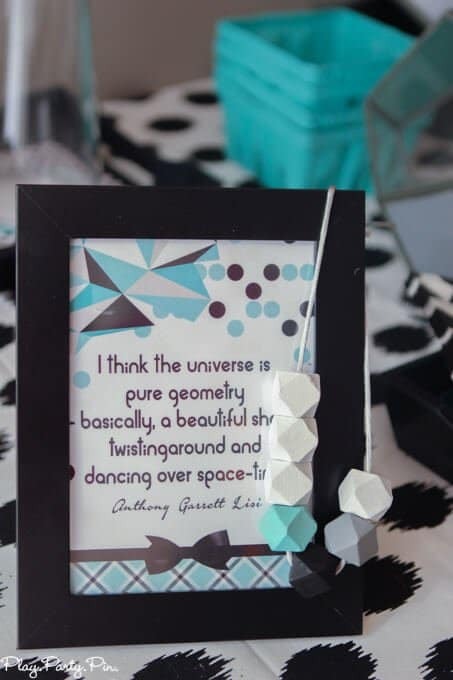 Elena from World Wide Party Designs made me the best geometric printables to go along with the party including signs for both the gifts for the exchange, gifts for them (party favors), instructions for the swap, and even little name tags to use for choosing who received whose favorite thing. 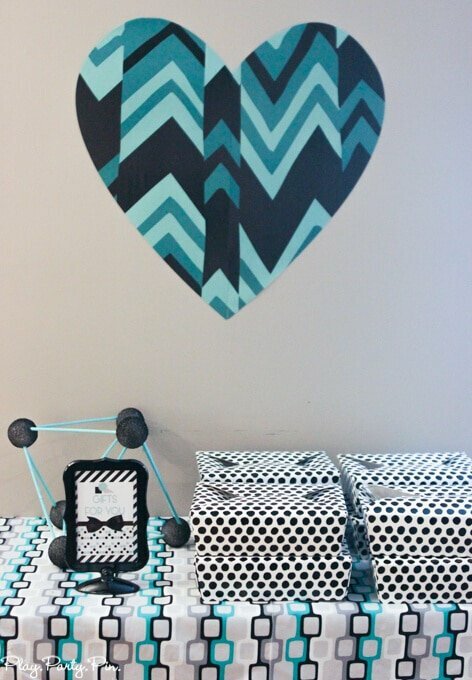 I used two more fun geometric fabrics (abstract chainlink and it’s a boy thing) and from Fabric.com to continue the geometric design throughout the other tables. It was amazing to see how many different types of favorite things people brought. 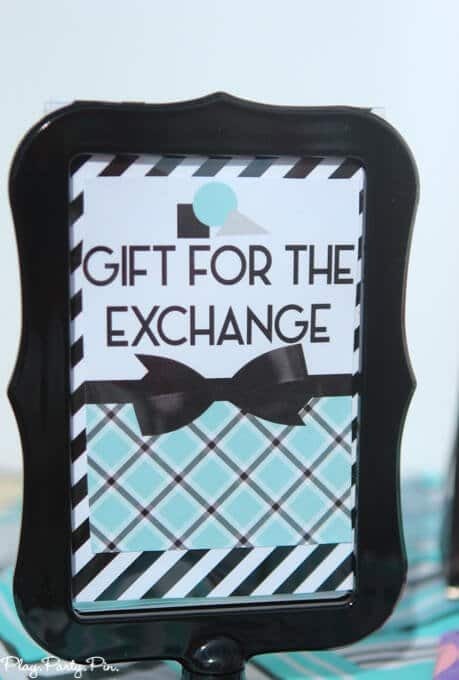 We had everything from food to purse hangers to my favorite thing, a Target gift card. 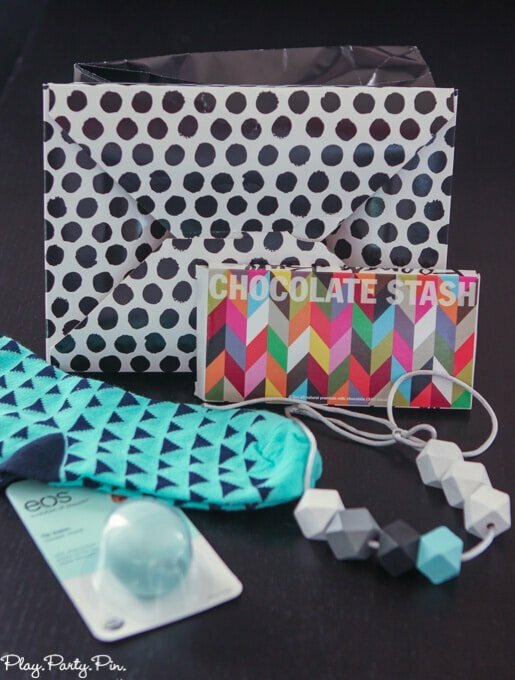 After everyone presented their favorite thing, they picked out one of the gift boxes from me, full of some of my favorite geometric things I could find. 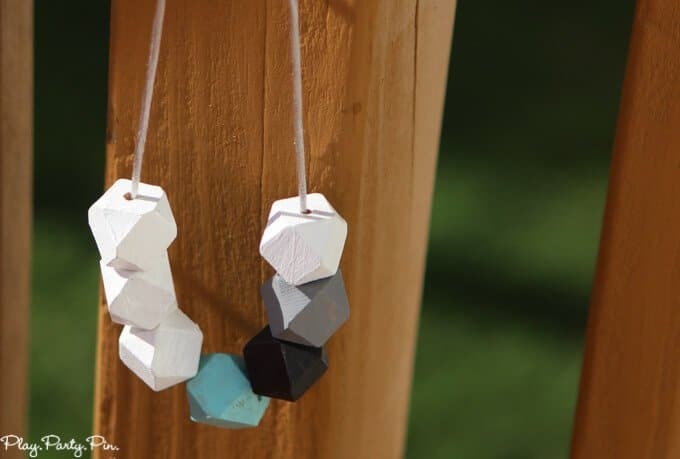 Some of them included chocolate, some included socks, and some included these awesome wooden geometric necklaces that my friend Eboness from Sheer Bliss Designs made and others included handmade geometric heart bags from Brenda at Great Stitch. 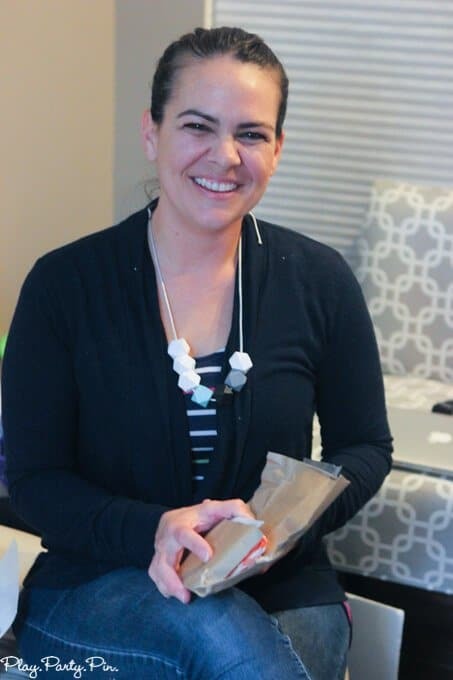 I’ll make a confession – I loved both the necklace and bag so much that I ended up keeping one of each for myself; I just couldn’t give them all away! I’ve never heard of a favorite things party but it sounds fun! Great party decorations! 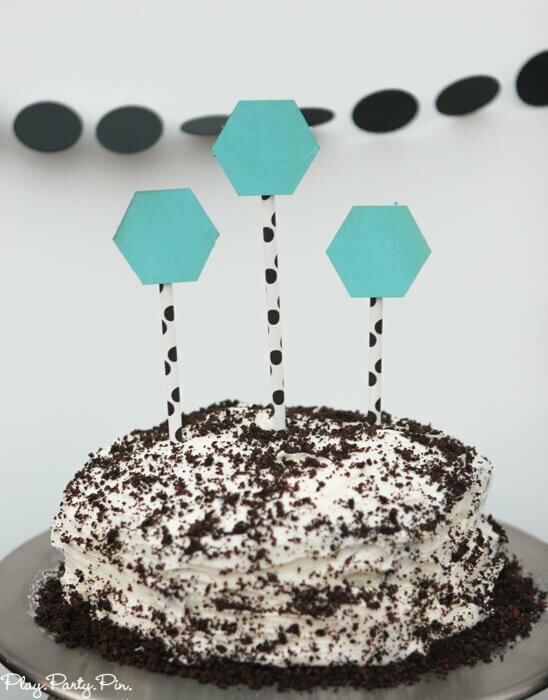 Please refer any questions or comments regarding our Geometric Garlands to our new website at http://www.fancyandfold.com!! Thank you for letting us be a part of this beautiful party! How fun! 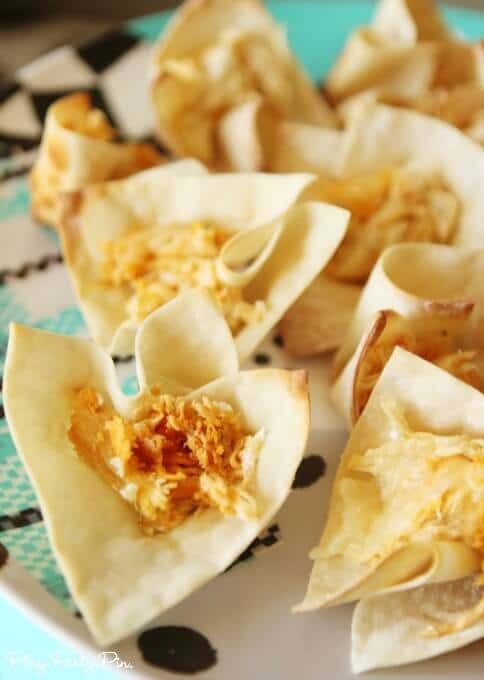 Those Buffalo Chicken Bites will make a great food for Super Bowl Sunday! Very cool decorations. 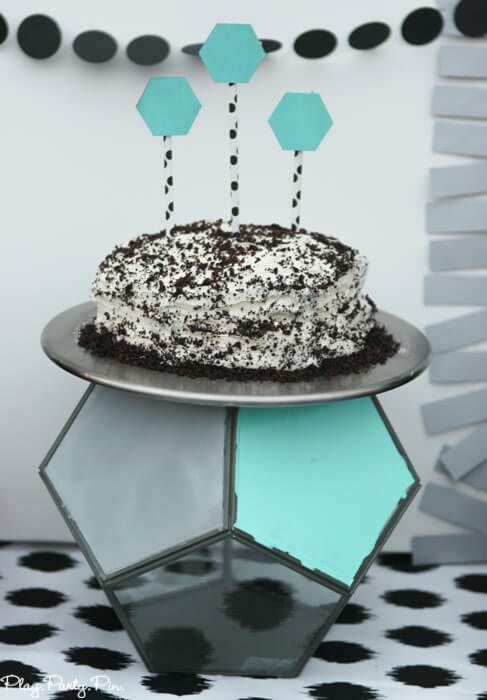 I’m a sucker for geometrics myself! 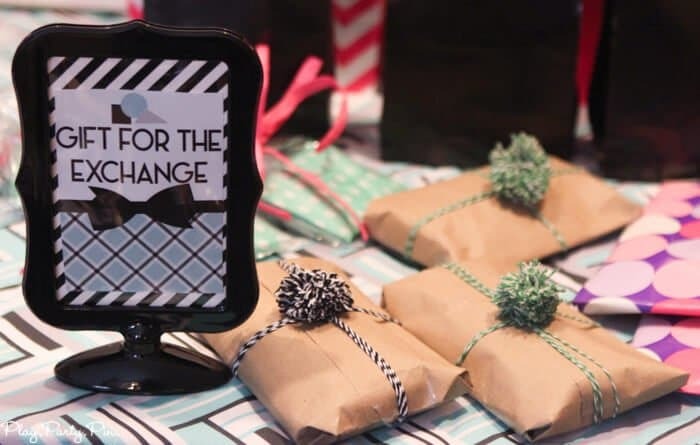 What a fun party idea too. 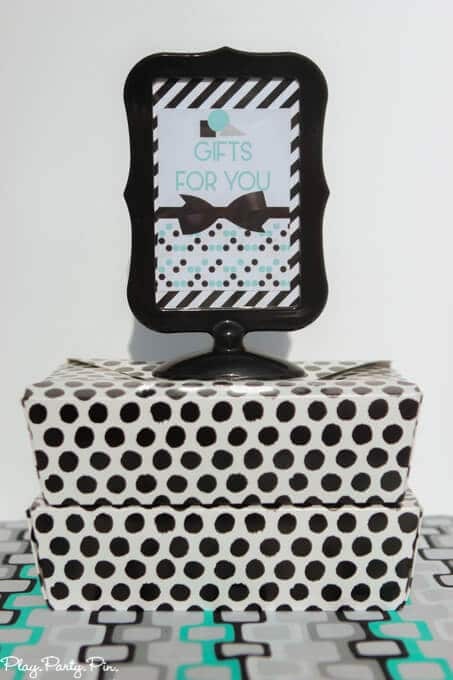 I LOVE those paper goods! Wow! 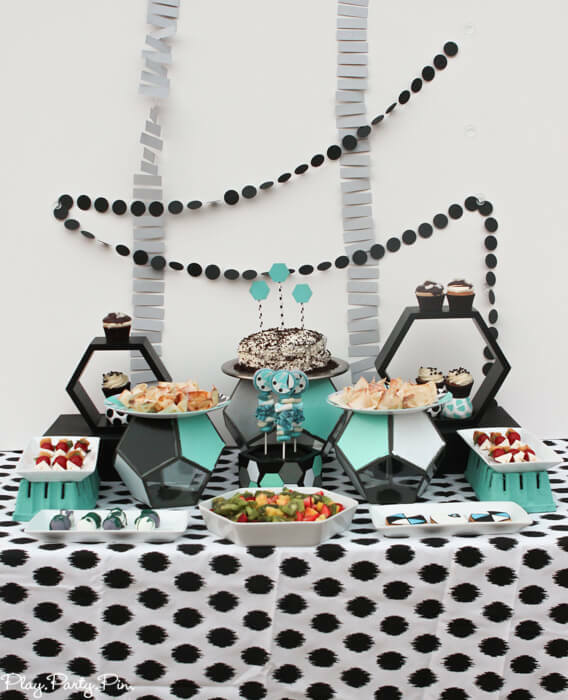 I love it all….the decor, the food and the party idea! 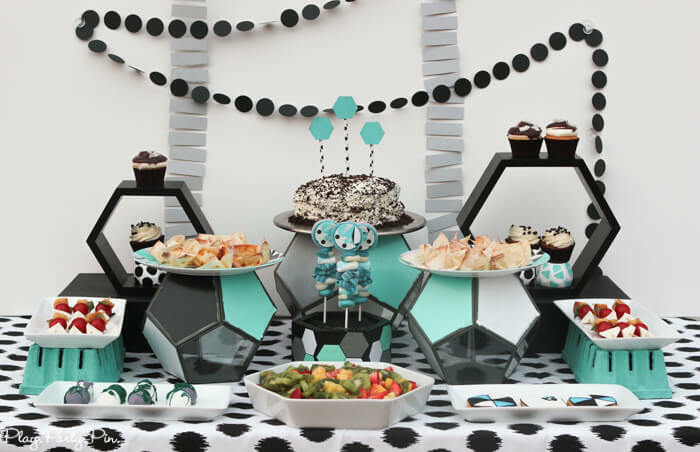 This is such a great party theme. Oh my goodness I love this! 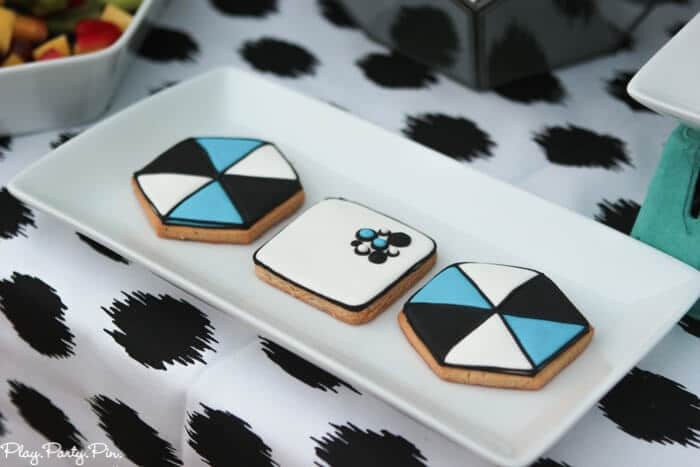 I will be honest and say I have been waiting for you to post about this ever since I saw you create the Girls Gone Geometric Pinterest board! It turned out so cute!! !